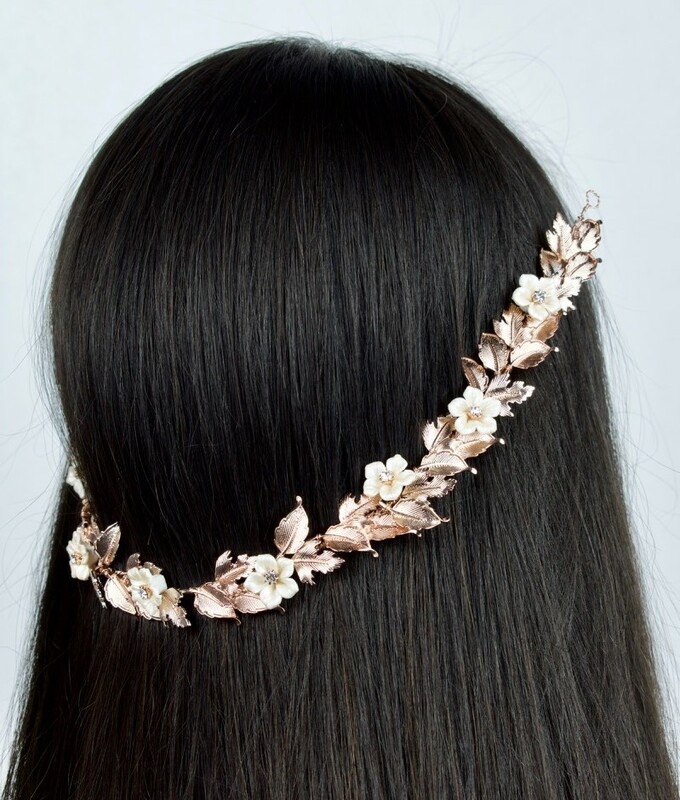 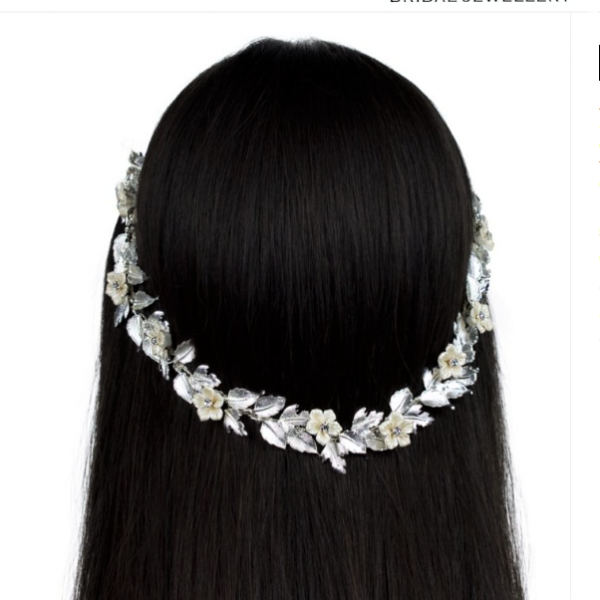 Our Franchesca hair vine is simply stunning. 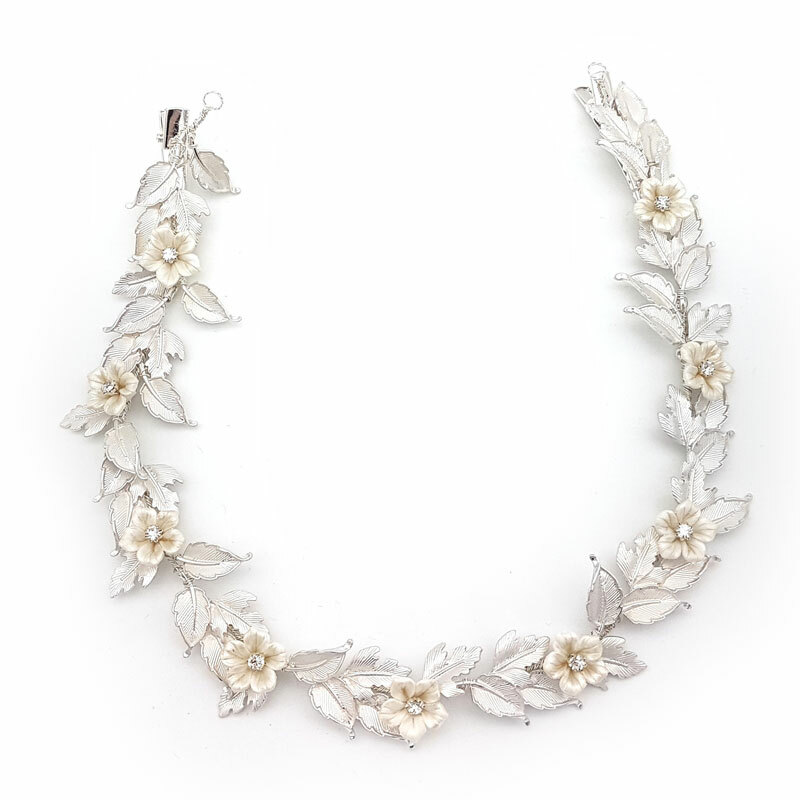 A vine of small leaves and ceramic flowers with crystal centres with your choice from silver or rose gold. 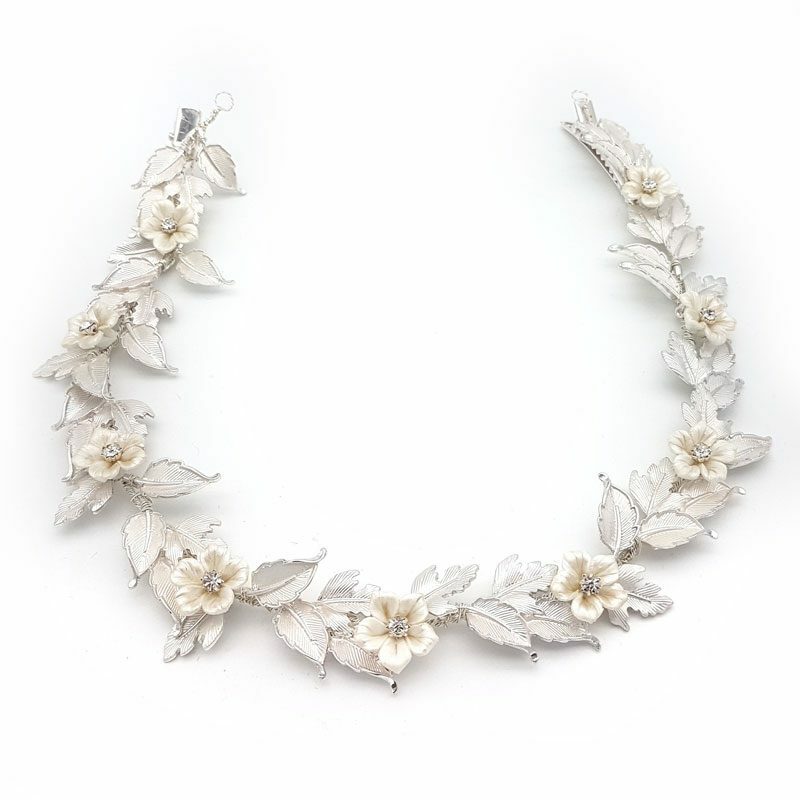 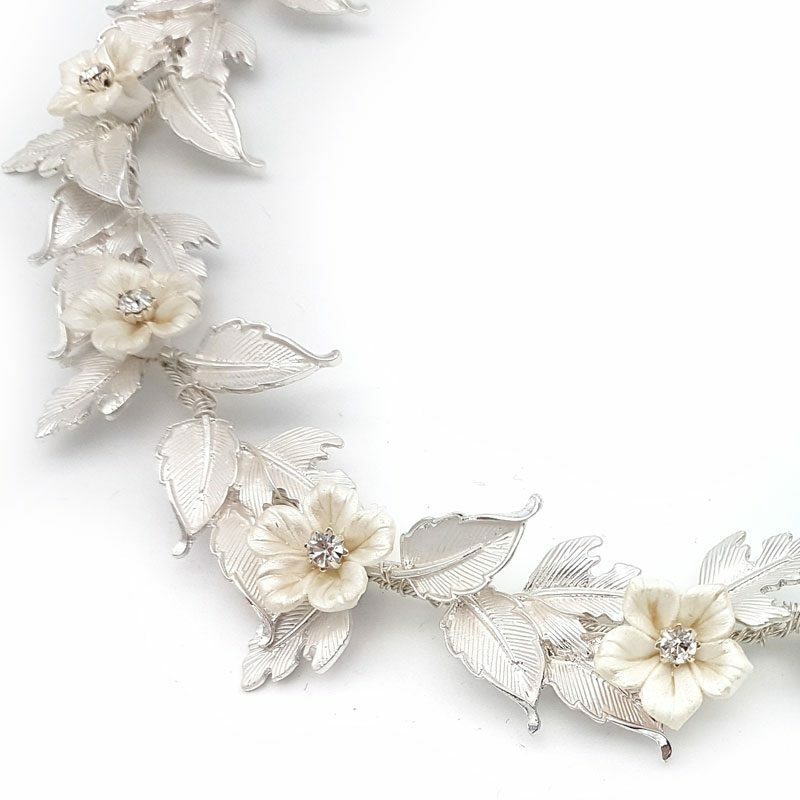 The leaves have beautiful detail and the ceramic flowers have a pale tint of a lovely pearlized shade. 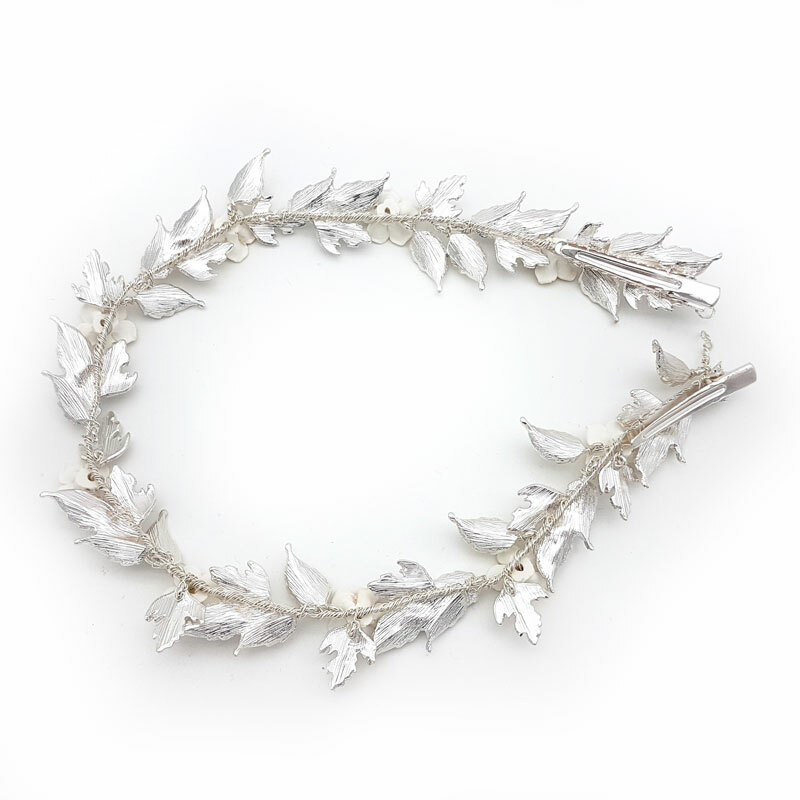 With strong clips at each end this vine is incredibly flexible. 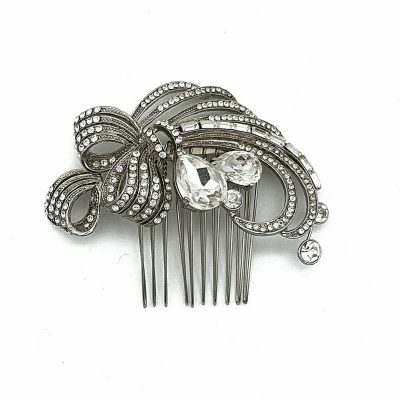 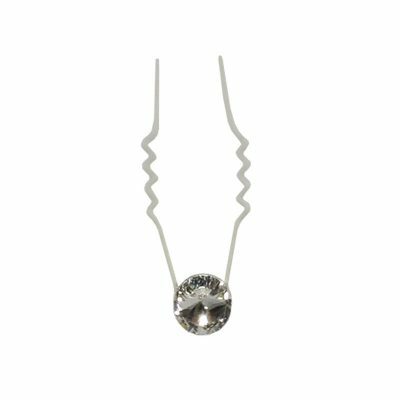 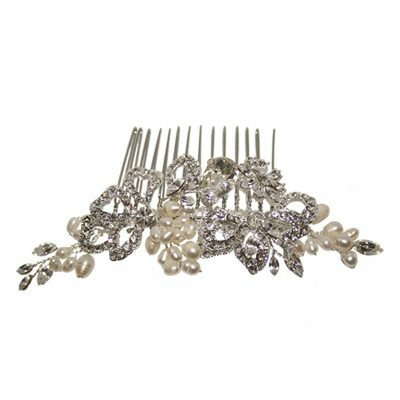 This can be worn in a number of ways but its popular now worn at the back of the head with a longer hair style.